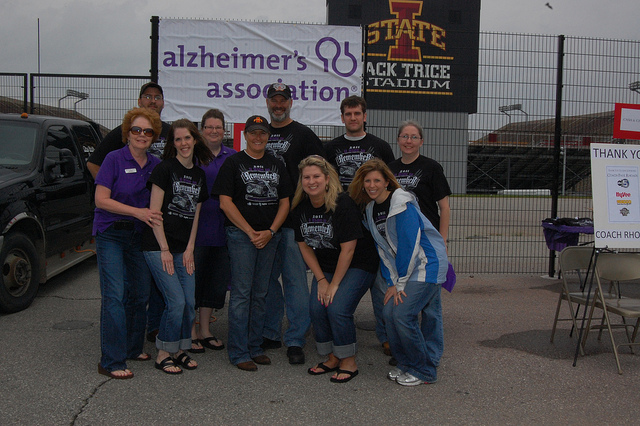 A couple weekends ago, B and I volunteered at A Ride to Remember, an event to benefit the Alzheimer's Association. The event is headed up by Coach Paul Rhoads of ISU football, and is an awesome thing to see. We had a great turnout, and the weather was nice even though it was cloudy and windy. 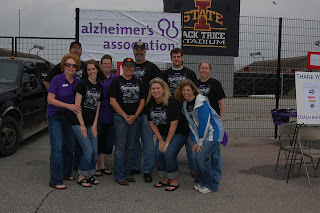 All the bikers started out on the south side of Jack Trice Stadium and took off on a 2 hour motorcycle ride throught Ames to raise awareness. Here are a few pics from the day; I will post the big departure video separately. :) It's pretty sweet!